GimletFest - Makeout - A content and experiential agency in Brooklyn, NYC. 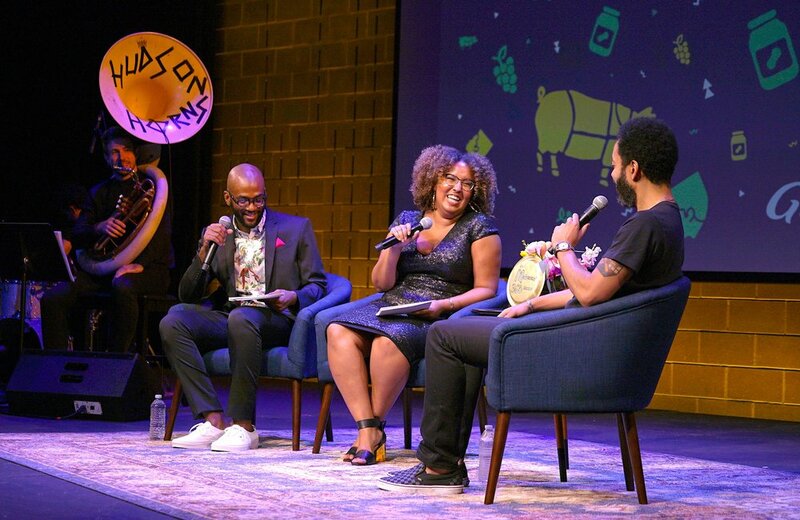 Our podcasting friends at Gimlet asked us to translate the network's spirit and style into a festival experience - two days of their best programming, brought to life in Brooklyn. Podcast fans tend to have very personal and intimate connections with their favorite shows and hosts, and yet the only visual most fans ever see is the show's cover art thumbnail. Our vision for GimletFest was to translate these audio-only stories into physical designs and installations, so guests could feel immersed in a spirit of stories, ideas and community. A festival identity and design system was developed to be both fun and full of meaning, representing the nearly dozen shows and corresponding stories that were brought to life over the weekend. Created by The Collected Works.